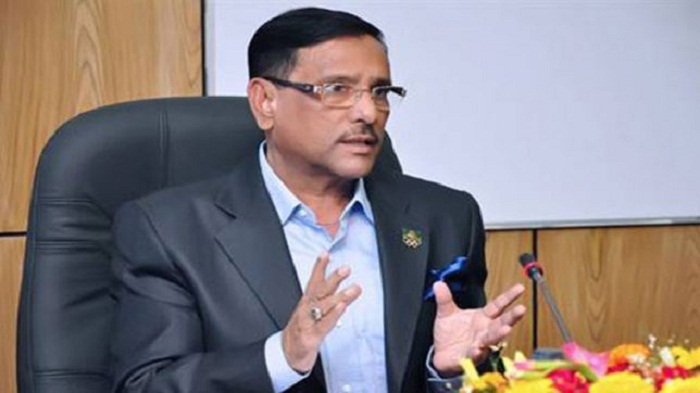 Road Transport and Bridges Minister Obaidul Quader on Monday said the government has intensified its efforts to bring back two fugitive killers of Bangabandhu Sheikh Mujibur Rahman from abroad. “The demand for bringing back the six fugitive killers of Bangabandhu is getting louder day by day. Discussions are on with the US government to have Rashed Chowdhury deported,” he said. The Awami League leader said though he repeatedly wanted to know from the BNP leaders about who were involved in Bangabandhu’s assassination, they never replied to it. “An indemnity ordinance was promulgated to stop the trial of those killers. As to why the indemnity ordinance was incorporated in the Constitution through the Fifth Amendment. BNP still didn’t reply to this question. I’m again seeking the answer to this question from them,” Quader added. Speaking at the programme, former foreign minister Dr Dipu Moni said a civilised country like Canada cannot be a safe haven for a self-proclaimed convicted killer Noor Chowdhury. “The killer together with his cohorts killed the Father of the Nation of a country and 18 other people, including his wife and his 10-year-old son Sheikh Russell,” she observed. Dipu Moni called upon the Canadian government to take steps for deporting Noor Chowdhury. State Minister for Foreign Affairs Shahriar Alam, Jagannath University Vice-Chancellor Prof Mizanur Rahman, Bangladesh Chhatra League president Rezwanul Haque Chowdhury Shovon, general secretary Golam Rabbani were, among others, present at the programme.